The GVFPOA Board of Directors’ regular monthly meetings are suspended during the summer months of June, July, and August. However, any homeowner who needs to get in touch with a Director and/or our contact at Stratford Management,may certainly do so. To contact a director or Stratford Management email addresses are below. They also appear in each newsletter. Darcy and her husband have owned their home in Fairways III for 15 years and recently moved here from Massachusetts full time. Thirty years ago, Darcy started a small graphic design business and now works part-time with her son/partner. Darcy’s outside interests are exploring the great outdoors, camping and attending live music and theatre. Patricia was a school teacher in the Nogales School District. While there she was a reading coach of her peers and also secretary of the local Nogales Education Group. In Michigan she was a member of the Summit Park Condominium Board and helped her daughter finish school. She strives for a friendly board and wants the best for the community. Mike moved to Green Valley from Denver, CO after forty plus years in the remodeling industry; worked as a department and general manager responsible for production, purchasing and personnel management. Mike is married with two sons and enjoys fishing and woodworking. Mike and his wife enjoy the small town Green Valley atmosphere. Helen worked in management for twenty years before she retired. After that she took a job counting and depositing money for a company. 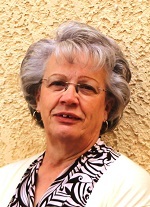 She has lived in Green Valley for seven years and prior was in Mesa for twenty-five years and served on an HOA as secretary. Judith served on the Board twenty years ago. She has been associated with the community since 1978 when her parents moved here and she later purchased their home. She worked for twenty-two years in patient mental health as a therapist and supervisor where considerable community outreach was part of the job. She works to keep the community stable and a wonderful place to live. Tim was previously employed as a Labor Law Investigator for the Commonwealth of Pennsylvania so he knows the importance of gathering all of the facts before making any decision. His past experience as a Union Representative and Regional Council President provides him with plenty of experience in Board Room situations. 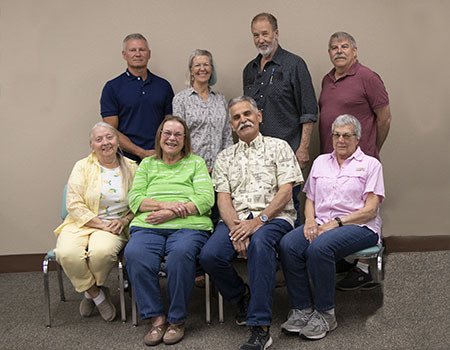 It is his goal to provide fair and equal treatment for all members, in an effort to keep the standards high in the Green Valley Fairways community. Richard has been involved in the land development business for many years overseeing its acquisition department. He was a general contractor building mountain homes in California, employing and supervising crews. Later Richard began his own land development business before retiring. Richard also served on a building committee to rebuild and remodel a church building and has worked extensively with government agencies, both federal and state. Sophia is interested in serving her neighbors and facilitating change for better outcomes. As a voice for our HOA Sophia hopes to be able to help the members and meet the needs by working together with the Board and speaking for those who many not be able to speak for themselves.